Recycled glass is used in many different products however in a unique blend of glass and concrete O’Brien St Bondi now has a one hundred metre stretch of pavement using these materials. Providing this trial by Waverly Council is successful other local councils could consider the use of glass in concrete. The main advantage of the use of recycled glass is that it will reduce the amount of glass being buried as landfill. 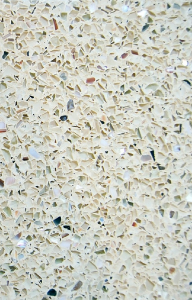 Recycled glass is a sand replacement in concrete therefore another benefit would be the reduction of sand mining as less sand will be required to produce concrete. While some beer and soft drink bottles can be reused broken bottles can’t be repaired. Since glass repair is not an option the inclusion of glass in concrete seems like the perfect solution for recycled glass.